If you ever ordered a product from overseas through an online store, then chances are that the company GAASH customs clearing made sure that your order arrived quickly and safely. GAASH was established in 2002 by Ronen Simgi, who has since served as the company’s CEO. 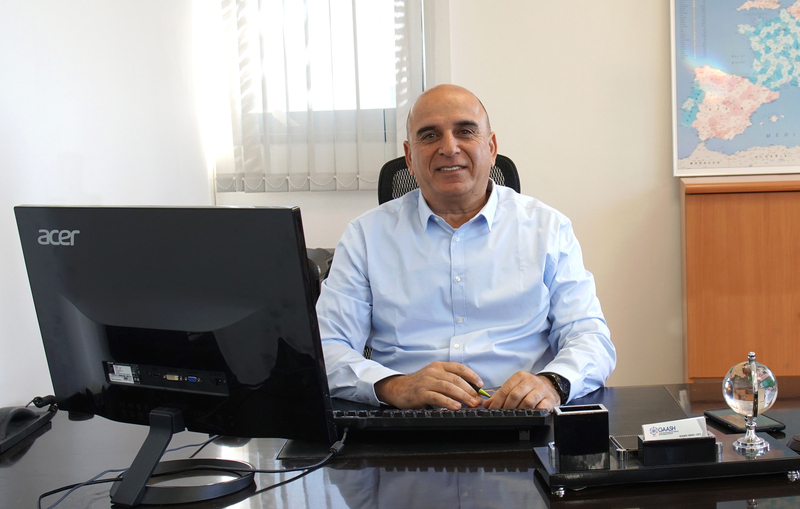 Ronen started his path in logistics and courier services in 1987, and served as an adviser specializing in the realm of customs for the courier division in the Chamber of Commerce. From 2011 onwards Ronen has acted as the chairman of the Israeli Chamber of Custom Brokers and the International Freight Forwarders. As part of his responsibilities, he joins in on meetings of the advisory committee to the Customs Authority, and in such is active in their new software system- “World Gate”, which was established in order to improve the customs process and to allow a timely transfer of products coming in and out of Israel, in cooperation with all the relevant government offices, aviation companies, shipping companies, banks and other bodies relevant to international trade. GAASH is part of an international freight forwarding network known as HTFN- High Tech Forwarding Network, and provides many services including imports and exports, both by sea and by air. GAASH has access to ports all over the world and maintains business relationships with local agents all over the world that were chosen based on their reliability and operating abilities. The company operates regular and permanent shipments to and from all the main ports in the world. GAASH manages a large customs clearance department as well. In addition, Gaash provides logistical solutions such as warehousing and delivery for their customers and has a solution for every request- land transportation in Israel and abroad to all destinations throughout the world, groupage services (LCL), trans-shipments, drop shipments, marine insurance and handling of special shipments. GAASH aims to be on the forefront of the supply chain industry in the realm of air and sea transport in Israel, and is dedicated to serving and maintaining the highest standards- with the declared goal of providing their customers the best service at the most reasonable prices. GAASH has six national branches throughout Israel: a courier storage facility at the cargo terminal in the airport, offices in the mail sorting houses in Tel Aviv and Jerusalem, the naval ports in Ashdod and Haifa, and the main office is located near Ben Gurion airport in Yehud. The company employs over 80 employees in designated departments of professional, experienced and skilled teams who man the offices throughout Israel. GAASH has its own insurance agency which insures imported and exported cargo whether it be by air or by sea, for regular customers as well as those who wish to insure on a less regular basis. The company has a large courier warehouse at the cargo terminal in the airport, that has turned GAASH into the largest company in Israel, providing logistical solutions for E-commerce, whether it be related to importing or exporting products to and from Israel. As part of providing solutions for the E-commerce supply chain, GAASH provides air transportation, takes care of the product customs release , and the Last Mile Delivery, encompassing distribution of shipments throughout Israel. GAASH has service contracts with the largest and most known e-commerce companies in the world, and make sure to meet frequently, while expanding their circle of customers. One of the main reasons for international retailers to work with GAASH is the fact that end consumers in Israel are satisfied with the company’s services; in many cases the service is faster than express delivery- which can be requested on the retailers’ websites for an additional fee, and the flexibility in the company’s distribution capabilities. Distribution within Israel is carried out in multiple transport configurations as specified by each client, from traditional distribution to the home by messenger all the way to distribution at pick up points, or lockers that are open 24 hours a day. The distribution to pickup points or lockers is without a doubt gaining momentum that is becoming a preference among customers as it allows them to collect the product at a time that is convenient to them, and most importantly- close to home. In today’s consumer environment that relies more and more on technology, GAASH recognized the need to provide the necessary technological solutions in time. That is why GAASH relies on the most advanced solutions in the realm of software systems and technology, and continues to invest in developing the technological aspect while maintaining the SLA – Service Level Agreement, stable and permanent, and commits to the shortest service time from the moment the cargo arrives in Israel until delivery to the client. When the largest retailers are looking for a partner in Israel, they want to be sure the company has vast of experience and knowledge of the local market, along with commitment to the best quality and fastest service and attractive prices. All these parameters give GAASH preference among other companies in the market. We understand that as a company with vast experience in the world of fast transport, whether it is ocean or air transport or courier services, the responsibility to prove ourselves always will be ours. We must always be the most attractive option to our customers and meet all their requirements in the most professional, efficient and qualitative manner. So what is the name of the game? To listen to the needs of the customer and the blowing winds in the field. The world is constantly changing at a fast pace, and we make sure to be there all the time, always thinking a few steps ahead.